Living... as a bright 12-year-oldin bucolic Hawkins, Ind., in 1983. Mike lives with his parents, his older sister Nancy, and his much younger sister Holly. Mike and Nancy used to be close, but now that she’s a teenager they don’t hang out as much. Mike spends most of his time with his best friends Will, Lucas, and Dustin. But that all changes when Will disappears, and Mike and his friends meet a mysterious girl named Eleven in the woods. Soon Hawkins is overrun with all kinds of weirdness. Profession... middle-school student. Mike and his friends are excellent students and are especially close to their science teacher, Mr. Clarke. 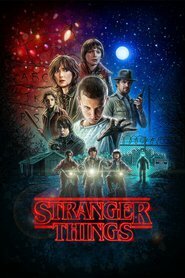 That relationship helps when Eleven convinces the boys that Will is trapped in an alternate dimension that she calls the “Upside Down” world, and they need to learn as much science as they can. Interests... playing Dungeons & Dragons, riding bikes, and hanging out in their secret spot at a local junkyard with his friends. Though that was before Will’s disappearance. Now, most of Mike’s focus is on finding Will with Eleven’s help. Relationship Status... single, but he’s developing feelings for Eleven. Mike is letting her stay in his basement and keeping her hidden, since she says that “bad people” are after her. She can only speak a few words, but they pretty quickly find ways to communicate and Mike teaches her what a friend is. Though when he helps her dress in a wig (to cover up her shaved head) and one of Nancy’s old dresses so she can blend in better, he starts to think he might want to be more than friends. And he wouldn’t mind having a date to the Snow Ball. Challenge... finding Will while keeping Eleven safe. Eleven turns out to have amazing psychokinetic gifts, with the ability to make objects and even people move against their will. She’s also their best hope to find Will. But Eleven seems to be in danger herself, and as Mike’s bond with her grows, he wants what’s best for her, too. Personality... smart, loyal, and resourceful. It would be hard to find a better friend than Mike. Like any kid, he sometimes gets into arguments, but he’s quick to forgive. He would do most anything for those he cares about, and since he’s an unusually capable 12-year-old, his “anything” can be quite a lot. Mike Wheeler's popularity ranking on CharacTour is #731 out of 5,000+ characters. See our top-ranked characters and read their profiles.